Schleswig's largest park is approximately four acres in size and includes a swimming pool, basketball court, ball diamond, shelter house, and an improved campground. Schleswig has two additional parks with playground area. Schleswig also has a Walking Trail with an Arboretum. Schleswig Community Country Club is 9-hole public course. The course is a Par 35 with a total length of 2708 yards. Two par 3 holes are less than 200 yards, but each is protected by sand traps. Water hazards come into play on two of the par 4 holes. During the season the club offers league play for men and women. Green fees are welcome, except on Tuesday and Wednesday afternoons. Cart rental is available at the clubhouse. 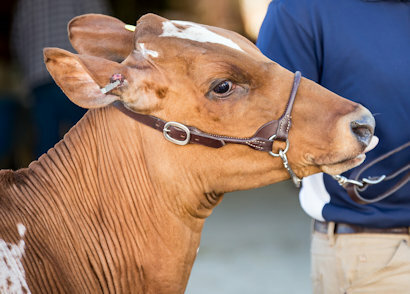 The annual Calf Show Days is held in September every year. J.A. Rohwer introduced the idea in 1948 with the first pens corresponding with the 50th anniversary of Schleswig in 1949. The basic purpose of the idea was to promote the importance of beef feeding in the area and its relation to soil conservation. The tradition has stood the test of time. The Calf Show Days Celebration includes a parade and carnival rides. We like to brag we have the least expensive rides in the area. It's a fun weekend, and a good time to reminisce with old friends and see the changes in Schleswig. Santa Claus Day is an event steeped in tradition. On Santa Claus Day Santa comes to visit all the kids of the Schleswig area and gives each one a sack of goodies. The tradition originally started in the 1920’s by the Bendixen & Evers Dry Goods Store to promote their new Christmas inventory. It became so large that the city of Schleswig took the responsibility for handing out the goodies because all the merchants benefited from the large crowds. Today, the event is a Saturday morning event that features the arrival of Santa Clause with goodies and includes a craft show and lunch served by the local churches. Grab a stein and enjoy the music. The Schleswig German Band with their festive costumes and broad smiles has been the “Ambassadors” of Schleswig for over 50 years. These talented musicians continue to honor requests and represent Schleswig in parades and celebrations throughout the area. Proud of their German heritage, their fun and enthusiasm playing German polkas is a real crowd pleaser.